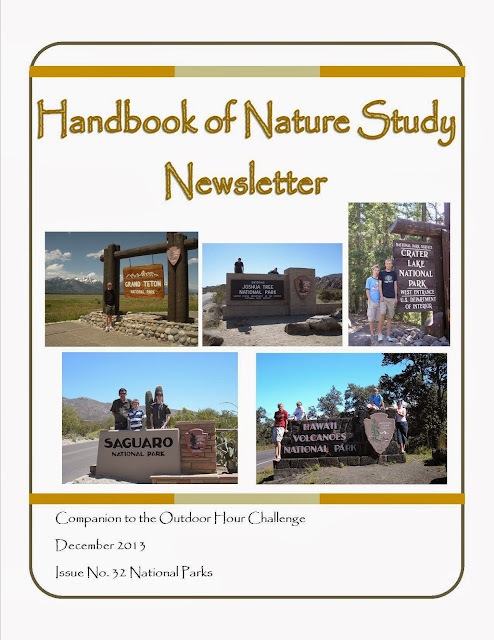 Click here for the Handbook of Nature Study December 2013 Newsletter. Older Brother thoroughly enjoyed participating the Junior Ranger Program at Wolf Trap National Park. Do you live in or near Northern Virginia? Are you planning a trip to our nation’s capital? Does your family love outdoor explorations? What about top notch music and theatre performances? Located in Fairfax Count, Virginia, just outside Washington, D.C., Wolf Trap National Park for the Performing Arts offers a unique combination of natural and cultural resources, with 130 acres of national park land and a full schedule of musical and theatre performances each year—including opera, symphony, musicals, concerts and Children’s Theatre. Wolf Trap is America’s only national park dedicated to presenting the performing arts. Remember: you must be subscribed to Handbook of Nature Study in order to download the monthly newsletters. My favorite part of each newsletter is the free printable nature activities for each month–we often use them on our nature walks.